Technology has two sides to it – positive and negative. And, in whichever industry it is applied, the boon and the bane of the technology oozes out, creating sizzles across the sector. While the media and entertainment industry has benefited a great deal from the ever-changing, sophisticated technology; it is equally prone to the biggest evil of technology – the piracy. In India, Delhi’s Nehru Place and Palika Bazaar are identified as the biggest few markets in the world, for pirated and counterfeited products related to computer hardware and software, by a US agency. That’s not all! Even Mumbai’s famous Manish Market, Heera Panna and Lamington road are listed as piracy hubs of India. In fact, China’s popular website Baidu – largest MP3 search engine regionally – also finds its name in the list, by the US music industry, for the vast majority of the illegal downloads in China. The US Trade Representative has prepared a ‘Notorious Markets List’ with more than 30 internet and physical markets that are thriving hubs of pirated products. It has pegged the worldwide value for pirated products to be $1.78 trillion by 2015. Baidu (China) website – China-based MP3 search engine for illegal music downloads in China. Alibaba (China) website – Infringing products from B2B and B2C segments. Taobao (China) website – Infringing products from B2B and B2C segments. Clones sites in line of Allofmp3 pirate music website in Russia involved in illegal distribution. Silk Street Market (Beijing, China) – counterfeiting of consumer & industrial products. Czech Border Markets (Czech Republic) – Czech borders with Germany and Austria – IPR infringing goods. La Salada (Buenos Aires, Argentina) – Sale of counterfeit goods. Neighbourhood of Quiapo (Manila, Philippines) – Binondo, Greenhills, Makati Cinema Square, and Metrowalk: Pirated merchandise. 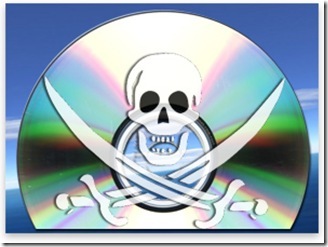 Harco Glodok (Jakarta, Indonesia) – Pirated optical discs. Nehru Place and Palika Bazaar (New Delhi, India) – Pirated DVDs and CDs. Don’t you feel the piracy problem is here to stay for as long as we live? "World’s Top Piracy Markets! ", 5 out of 5 based on 1 ratings. @Altaf, if you think singing and acting is the easiest job, why dont you try it once? you will realise it takes years of learning and devotion to become a good singer/actor. not to mention talent and hardwork. Talking about companies to pay 1/1000th of a price, would you sell a product at 1/1000th of the price it cost you to produce? WHY DONT YOU TALK ABOUT HOSPITALS WHO CHARGE HUGE AMOUNTS FOR XRAYS, SONOGRAPHY ETC. WHEN THE COST IS JUST OF THE FILM USED THAT IS ACTUALLY THE RUNNING COST. I agree that the common man too should have access to good music, but the music companies dont pay royalties to artists so artists charge a huge amount. I could go on and on but i think this is enough for now. Good debate on piracy, hope someone comes to a logical conclusion. That is exactly what I am trying to point out. The music industry is cartellizing but they are not ready to accept the fact. They call it piracy. If original songs or a movie are available at 700 rupees and the pirated CDs with same HD quality are available at 25 rupees, what does that mean? They have to work backwards. They should buy the rights for songs or movies at very small price from producer. (May be 1/1000th of the price they are paying now). The producer in turn should pay only chai paani to the singers and actors. But in reality what is happening? SRK, Sallu and every Tom is charging crores to the producer. The prducer is passing the cost to music / movie companies. Music companies are charging 700. Some one is buying one CD, copying it and selling it at 25. Now do you call the Some one as a pirate? All the actors and singers are pirates. They are not doing any constructive work. They dont build roads, bridges, they dont make software, they dont make steel, they dont cultivate food, they dont cure patients. They do the easiest of the work – “acting” and “singing” and they charge crores !! When the CDs are getting sold in the so called pirated markets, their system is getting disturbed. So they come on TV and give advise to people not to buy pirated CDs. Unke baap ka kya jatha hai? They are indirectly asking you and me to donate crores to them. I agree with your views, If the company sells original at 25 and a pirated one is available to 15. People would opt for the orifinal one itself.Companies are loosing because of their Greed,and calling it piracy, Infact it is related to inefficient pricing. Original Music may cost 700 Rs per 10 Songs, but should lower income group should stay away from a good music? Also we need to look at the innovation involved to copy the things at rock bottom prices! 1. Some one or some company invents a product (be it computer component or a process to make cost cheaper or a new product using a new process). Its obvious that the person or the organization has spent 1 crore in the experimenting, refining the process or product. If it starts a factory to mass produce the product, suppose it costs the company 10 rupees a unit. In order to recover the costs during invention phase and to take advantage of first mover benifit it has to sell the product for 25 rupees. But as greed takes over the company and with the confidence that people can not buy it anywhere, it starts selling the product for 1000 rupees. Society can not do anything but pay up the ransom amount. 2. Some one or some company invented a product by spending 1 crore on experimenting and refining the process. Then he was selling the product at 25 rupees (in order to recover the invention costs and to take advantage of the first mover benifit). Then some one steals the technology (or some company works backwards by buying the product and opening up all the components and understand how the inventor has done it). It costs nothing to the second company to come up with the product itelf. As explained above the product costs only 10 rupees to make. So the second company starts selling the product at 15 rupees. The inventing company has not even started recovering the expenses of the invention and goes bust. I have explained both the scenes. Now we read every day about piracy and being taken for a ride by monopolies. People can decide which is piracy and which is cartellizing.